This is my personal view of the cream of the crop from the morning session on day two. Evegeny Morozov – Internet Scientist – Evgeny believes that the internet, far from being a trojan horse for freedom in oppressive regimes, is your average dictators best friend. It used to take years to uncover a network of activists. Now you just look at their Facebook page. He also believes that the internet is far more likely to be the ultimate opiate for the masses rather than from inspiring and a generation of cyber activists. Stefana Broadbent – Tech Anthropologist – Her work suggests that the proliferation of channels is strengthening our core relationships not eroding them. And they (Mobile, IM, SMS etc.) are strengthening them precisely because it is allowing our personal sphere to penetrate our work lives. Whether those work lives are in developed world offices, developing work factories or amongst migrant workers away from their families for long periods of time. And as such this development is allowing us to get back to the connection between personal and productive spheres that were common place before industrialisation. 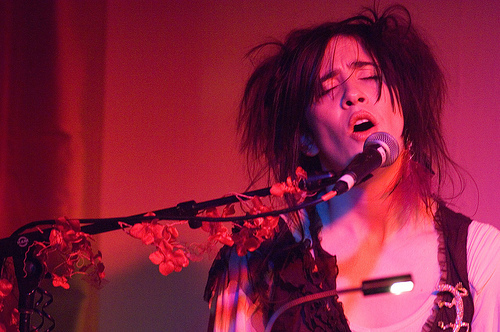 Imogen Heap – Diva – Quite extraordinary. Rory Sutherland – Advertising Guru – If it isn’t our very own Rory Sutherland following Imogen and her standing ovation with one of the most entertaining talks of the conference about the need for us to place more value on the intangible. The boy Sutherland done us proud. Lewis Pugh – Arctic Swimmer – An extraordinary story about swimming 1 km across the geographical North Pole in water that is 4,200 metres deep and -1.7C, in order to highlight the rapid progress of climate change.